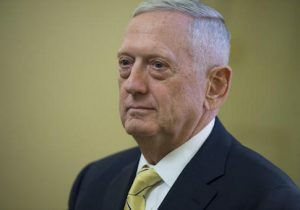 The full Senate on Thursday afternoon approved legislation that would allow retired Marine Gen. James Mattis to serve as defense secretary in the administration of Donald Trump. The Senate voted 81-17 to approve the legislation, clearing a 60-vote threshold. The bill will now advance to the House, where lawmakers will vote on it to pave the way for Mattis' swift confirmation one week before the president-elect is inaugurated in Washington. Earlier on Thursday, the Senate Committee on Armed Services approved the bill creating an exception for Mattis to serve in the top Pentagon post despite only being out of uniform for three years. Current law mandates that military personnel be separated from the military for at least seven years to serve as secretary of defense. However, lawmakers, defense officials, and experts have signaled support for a waiver for Mattis to lead the Pentagon, given his qualifications. Meanwhile, members of the House Committee on Armed Services met Thursday afternoon to markup the legislation and were still debating it when the Senate passed its version. Mattis was initially supposed to appear before the committee, but House Democrats later said that he had been blocked from doing so by the Trump transition team. Rep. Mac Thornberry (R., Texas), chairman of the House committee, said Thursday afternoon that Mattis had been "willing and eager" to testify but that he was informed Tuesday night that the transition team would not allow him to testify. "I think that's a mistake," Thornberry said, faulting the transition team for "short sightedness." Rep. Adam Smith (D., Wash.), the ranking member, expressed similar frustration with the Trump transition team. Several Democrats indicated that they would vote against the legislation because they had not heard testimony from Mattis. Following a hearing on Mattis' confirmation Thursday morning, the Senate committee considered identical legislation, passing it in a 24-3 vote. The only senators to vote against the waiver were Democrats Kirsten Gillibrand (N.Y.), Richard Blumenthal (Conn.), and Elizabeth Warren (Mass.). The committee members heard testimony from defense experts earlier in the week who recommended Mattis be granted an exception to serve in the top defense role, citing his judgement and character. During the confirmation hearing, Mattis underscored his commitment to rebuilding the military, bolstering America's alliances, and provide "strong civilian leadership" of the Pentagon. "Civilian control of the military is a fundamental tenet of the American military tradition," he told the senators. "If the Senate consents and if the full Congress passes an exception to the seven-year requirement, I will provide strong civilian leadership of military plans and decisions and the Department of Defense." Congress has only once before granted an exception for a recently retired military member to serve as secretary of defense, for Gen. George Marshall in 1950.